If you’re a music enthusiast with thousands of tracks saved on your device, you’ve probably experienced shortage of space. Or perhaps there have been times when your MP3 file is way too big to be sent by email. In these situations, you’ll probably have to compress MP3 files. Compressing audio tracks can help decrease the size of the output files by reducing their bitrate. 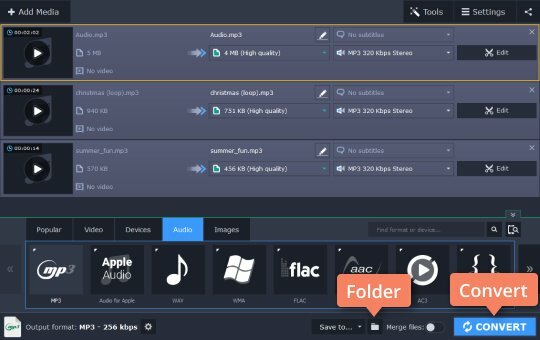 Of course, you can’t compress audio without losing quality at some level but, using the appropriate software, it’s possible to reduce the file size significantly while maintaining acceptable quality. 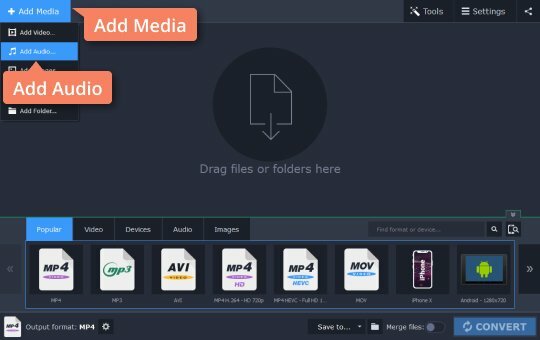 Movavi Video Converter can help you with MP3 compression. The program’s smart ready-made presets are designed to provide the best possible sound quality. 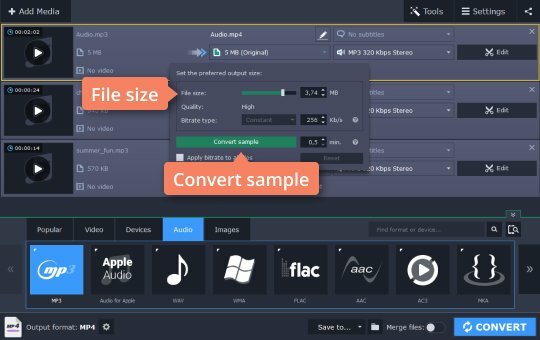 Download our compression software for Windows or Mac, and read our guide on how to compress MP3 files. Click the Add Media button and then Add Audio in the upper left corner of the program interface. 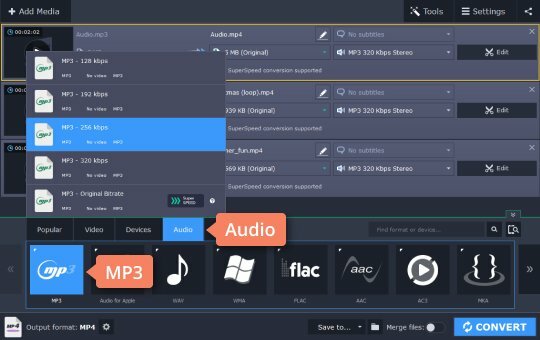 Choose the audio you want to convert and click Open. You can also add your files to the MP3 compressor using drag-and-drop. In the lower part of the interface, locate the Audio tab, open the MP3 group, and choose the preset that best suits your needs. You can choose from various bitrates, but note that the higher the bitrate, the better the quality and the bigger the file size. When you select a preset, the estimated output file size will appear in the file list. If the size works for you, then go right to Step 4. If you want, you can adjust the size manually. To do this, click on the estimated file size. This will open a new dialog box. Move the File size slider to the desired value. You can click the Convert sample button and listen to a small fragment of your converted audio to check the quality. First, decide where the converted files will be stored. Click the Folder icon at the bottom of the program window and specify the appropriate directory on your computer. You can also stay with the default Movavi Library folder. Once everything is ready, click the Convert button to start the conversion. The processing will take a little while and, once it’s done, the target folder containing the compressed MP3 files will open automatically. That’s all there is to it! Now you know how to compress your MP3 tracks. 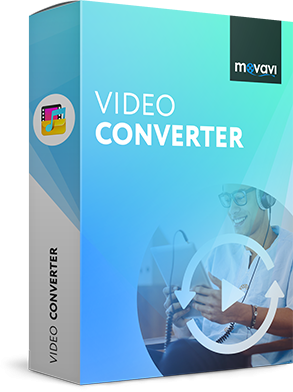 With Movavi Video Converter, you can not only convert and compress your media files, but also trim a section of your favorite music track and make it a cool ringtone. Download this app and experiment with all its amazing features!